So I now have the second draft of this painting. I worked the background sufficiently enough that it matches “Threshold” now much better. I think I will have one more go at the background tomorrow after this dries. Then – when side by side, I will do a bit of painting on the both of them to make the lines and shades come even closer. As it is, the skys are looking nicely. The most significant addition to date is the little spot over the shoulder of the sweater. 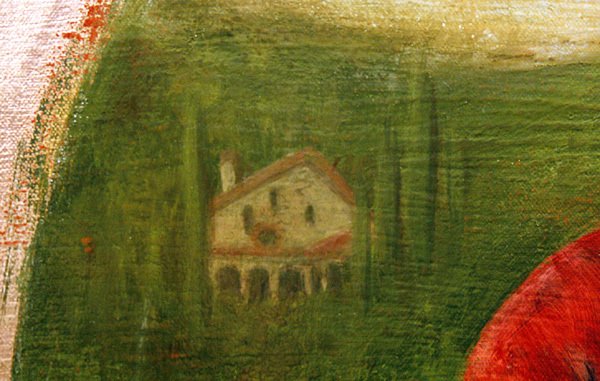 Click the painting, and you will see in the background of the hills of Assisi, on the side of the hill is a little token to San Francesco painted into the trees … the little dilapidated church of San Damiano, just a mile outside of Assisi – the church that HE rebuilt. A fitting tribute to him, and to my hope that the re-making of the Church today will include a higher value of serving God through justice and mercy and reconciliation of the outcast and outsiders. So, My family loves the unpainted sheen of the copper-gilded frame. My question to you is should I make this one match the red-orange glaze painted on Threshold, or leave this one as-is? I am actually thinking of putting a blue glaze over it to contrast the first. Leave your comments below. I am tempted to think that painting it a color that accents the painting rather than matching a previous painting might be more genuine. I think the shape of the paintings is a close enough resemblance as a series. 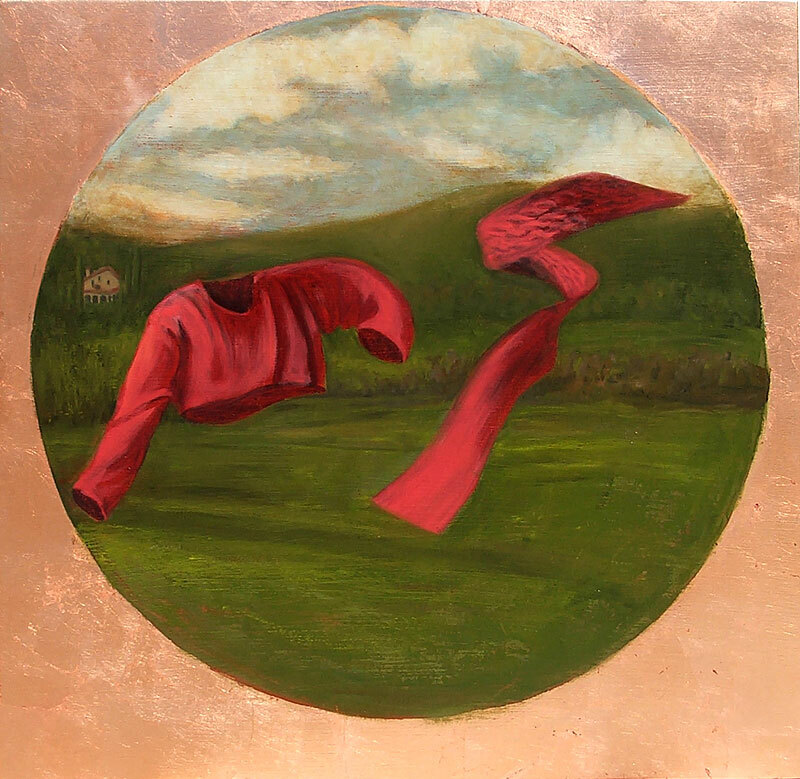 The outer casing is important for how the viewer will see the inner parts of the painting. How will it invite them to look closer and deeper into the heart of the painting?